The 2013 collectible Build-A-Bear is a girl....and pretty in PINK! 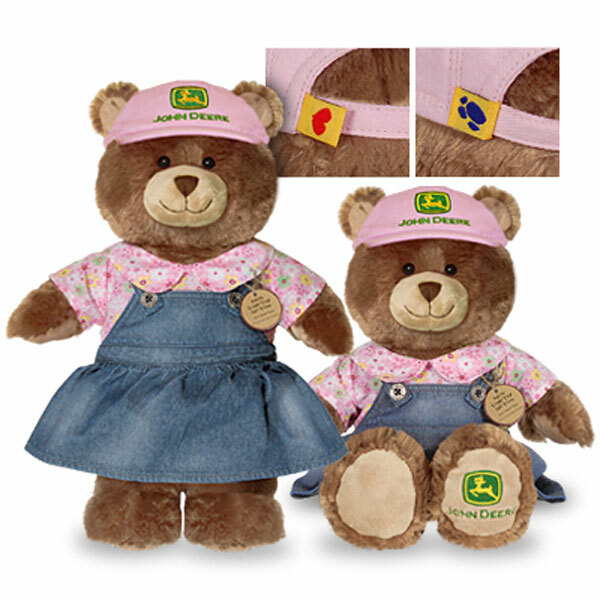 The bear comes fully assembled and is dressed in matching flowered top and bloomers, a super cute denim dress, and a pink cap embroidered with the John Deere logo. (Specially made to accommodate that adorable tail and ears!) The left foot is also embroidered with the John Deere logo. Made of plush, denim and canvas, she measures 16 inches and is dark and light brown in color to match the boy JD Bear from 2012. 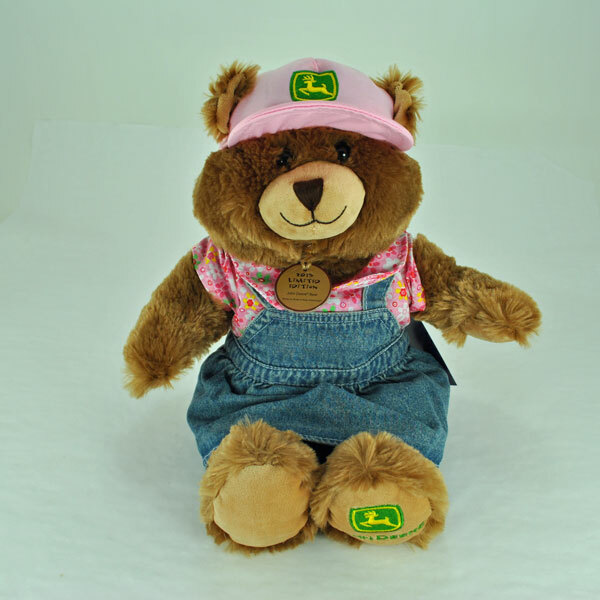 Collectors love stuffed animals that include the John Deere logo and the Build-A-Bear is a great addition to their collection! 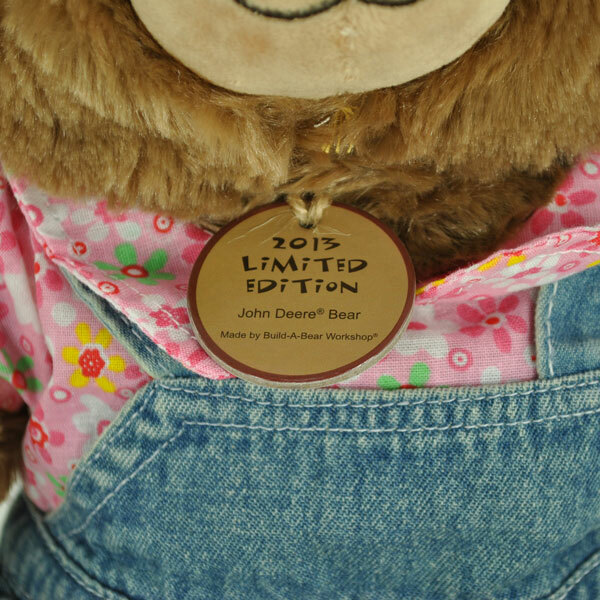 This is an exclusive and official John Deere Girl Build-A-Bear is being offered for John Deere dealers to sell! 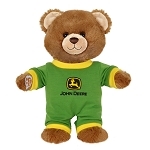 I bought this bear for my baby girl since her dad works for John Deere and she was born this year. The bear is amazing, very well put together and the details are so cute. It is such a great product and I know my daughter will get years of enjoyment out of it.